Love, Mrs. Mommy: Popreal Makes Trendy Shopping Easy on Your Wallet! Popreal Makes Trendy Shopping Easy on Your Wallet! Trends change so fast and children grow up even faster. This seems to be the perfect storm to equate to a lot of shopping. With all that shopping comes spending quite a bit of money, no matter how thrifty you are. That is especially true if you are looking for unique clothing items. That’s why I am excited to partner with Popreal.com! As an adult (and when I was a child too) I liked to have original pieces of clothing. Something that, when you go out, not everyone is wearing. Well, Popreal does that for your kids. 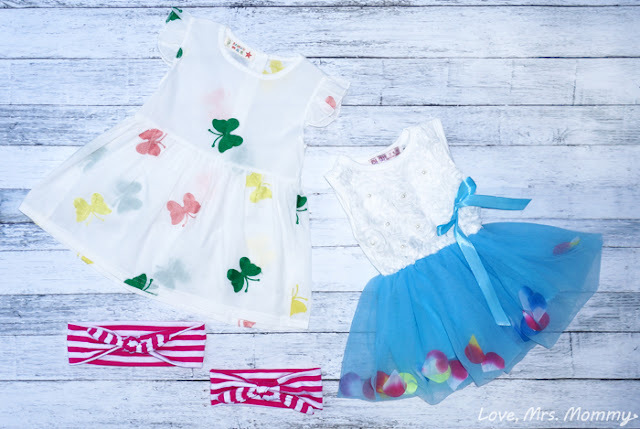 They have fun, stylish clothes, perfect for the mini-fashionista. After browsing through their website, I picked out so many items for my daughter, I had a difficult time narrowing down my selections. Let’s just say I had a lot of tabs up on my screen, hehe. But, I finally narrowed it down to two dresses and a matching mommy and daughter headband. So cute! The Butterfly Princess Dress was even cuter in person. I was pleasantly surprised when I saw that the butterflies were stitched, not printed on. It really adds to the quality of the dress. As a nice feature, there are buttons down the back for easy on and off. This cute dress also comes in pink. Helpful hint: The dress runs a little large, as it’s the style for this type of dress. However, I probably could have gone down a size and it would still have been good. $17.49 is a steal for this summer gem! 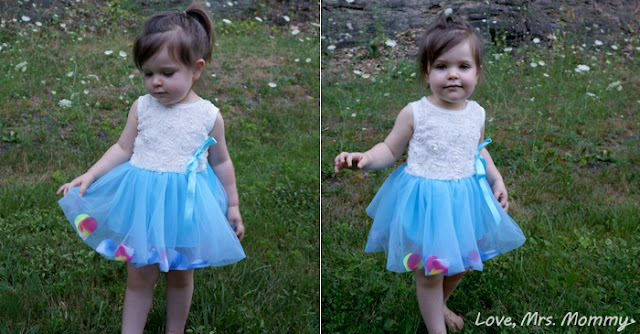 The Girl’s Princess Tutu Flower Dress truly does look like something out of a fairy tale. With its rosette accented top with center-adorned beads, and its adorable lined blue tutu (also comes in four other colors), the piece du-resistance are the petals which are inside the tutu. They are not sewn in, so they can be moved to where you want them. A helpful hint: I found this dress to run on the small side, especially in the neck hole. You may want to order a size up. But that certainly doesn’t stop me from loving this dress! You get all this cuteness for only $13.89! The Parent-Child Striped Bow Tie Elastic Headband is such a cute idea for mommies and daughters! Popreal has a bunch of different parent-child headbands, but this particular set comes in 8 different colors! How fun! They are elastic and super comfy to wear. Mommy and daughter matching fun for only $8.50! Popreal has a variety of cute and stylish clothes that will surely fit your budget. Watch for their flash sales and coupon codes. You will be sure to make a great deal even better! Connect: Find out more about Popreal by visiting their website. Then make sure you “like” them on Facebook and follow them on Twitter. Win It: 1 lucky reader is going to win $40 to spend how they wish at Popreal.com! This giveaway starts August 1st right here at LoveMrsMommy.com! The tutu flower dress is so pretty, so is the little one wearing it. I need some of these cute outfits for my new granddaughter! What a cute brand! Thanks for sharing. 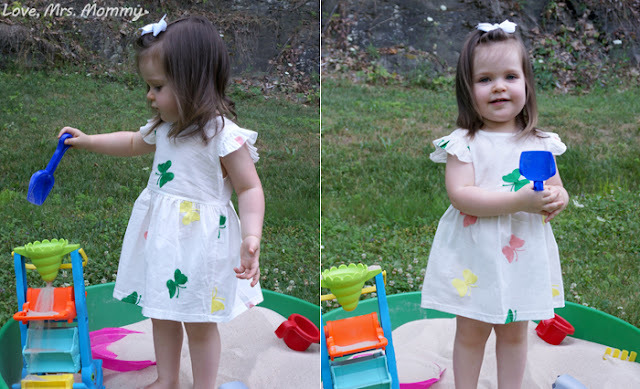 These dresses are darling! Love the butterflies! These outfits are simply adorable and stylish. Love this! �� I dress my little girl up everyday and I think she would love gorgeous in some of these outfits! Oh these are just almost too cute! Oh my!! Just absolutely adorable!! Im loving the quality for the amazing prices!! Such wonderful collection! Love them! 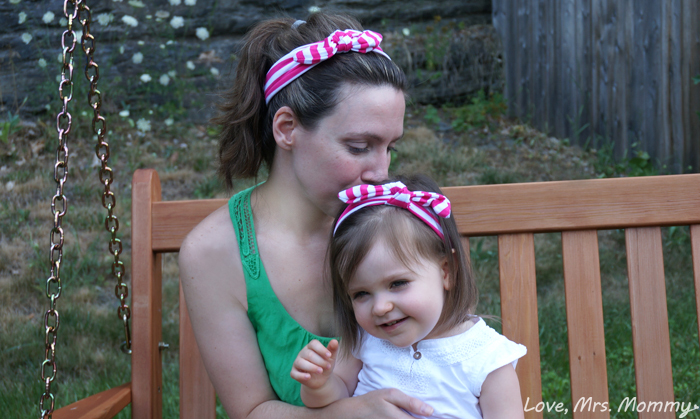 The matching striped headbands for Mommy and child make me think summer. This is such a cute brand.I will check these out. I am In LOVE with Popreal!!! Finally some fashionable Mommy and Me outfits. Same problem with narrowing down. Might need to keep doing that. 3 dress,...both matching, 1 being a Flash Sale!!! $6 for her, $10 for me.